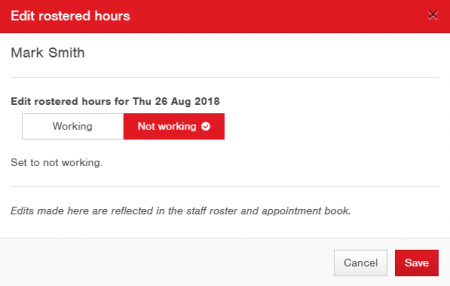 Now, if you have admin access, you have the ability to quickly edit working hours from the appointment book when you experience changes to staff hours and unplanned staff leave. 2. Choose how you’d like to edit rostered hours by entering the details into the required fields and select Save. Remember that edits made in the appointment book will also show in your staff roster. Tip! 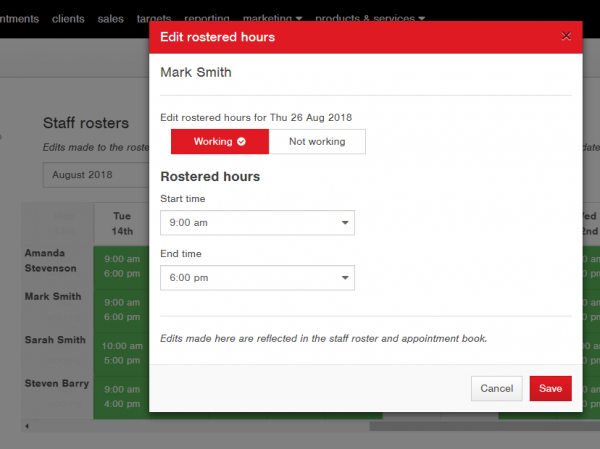 You can also edit rostered hours from the staff rosters menu in Settings. These edits will be reflected in the appointment book too. 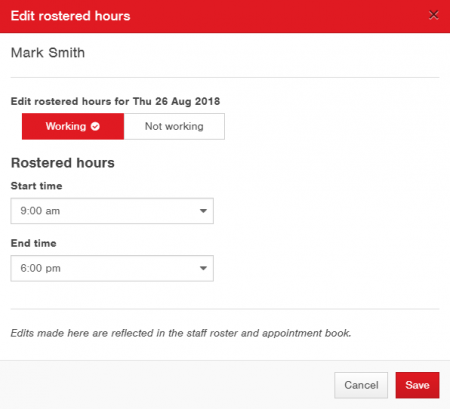 Use this to make a one-off change to a staff member’s rostered hours. Here you can set or edit the start and end times. Choose this option if a staff member isn’t working their rostered hours for that day. Once you’ve saved an edit, you’ll see a red triangle in the corner of the staff member’s column. That way you can quickly see that there are changes to their rostered hours. 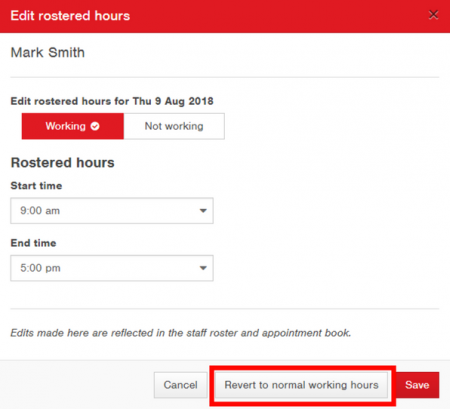 If you’d like to revert any changes back to normal rostered hours, use the ‘Revert to normal working hours’ button. Need help using this new feature? Check out our support guide.